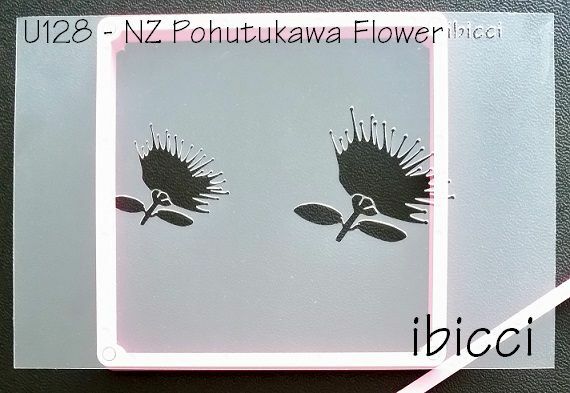 I've been wanting to do a Pohutukawa Flower stencil for a while now, and it being New Zealand's Christmas Flower, decided to get it done for this years Christmas Cookies. 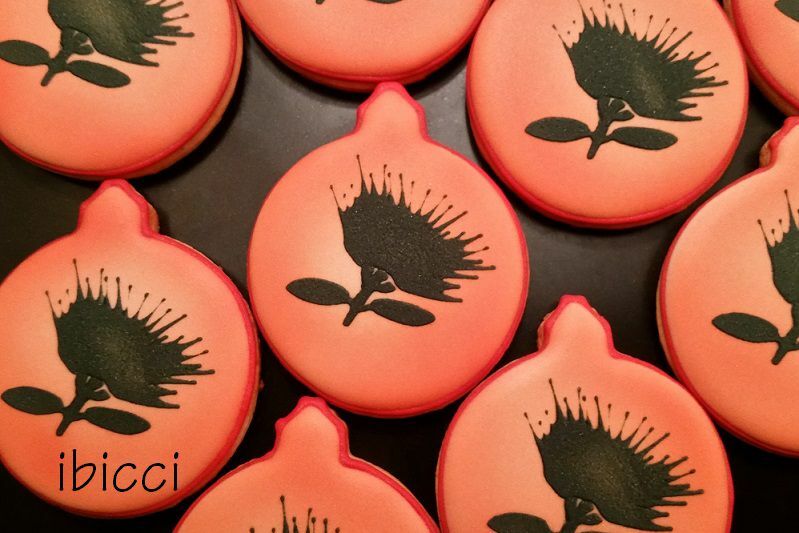 For these round ornament cookies, I piped a red outline, flooded it with white royal icing, then airbrushed it, but not all over - I wanted to get a different contrast happening. The stencil was done with soft piping consistency black royal icing. Size [Choose Size]2" and 2.5" 2.5" and 3"